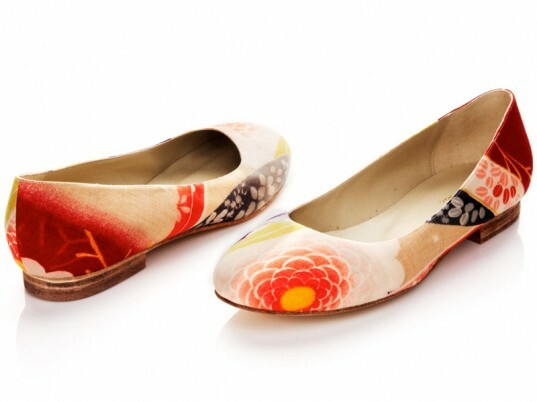 Dying to get your hands on—or rather, feet in—a pair of Hetty Rose's dreamy kimono-print shoes? The previously bespoke-only footwear brand is launching prêt-à-porter versions of its pretty peep-toes, flats, and pumps, all clad in the label's signature vintage kimono fabric. Scroll through our gallery for a peek at the beguiling styles available this month, and listen in as we talk shop with Henrietta Rose Samuels, Hetty Rose's founder and designer. At a very small age, I remember being interested in people’s shoes. I was interested in how they are made, their shape and form. 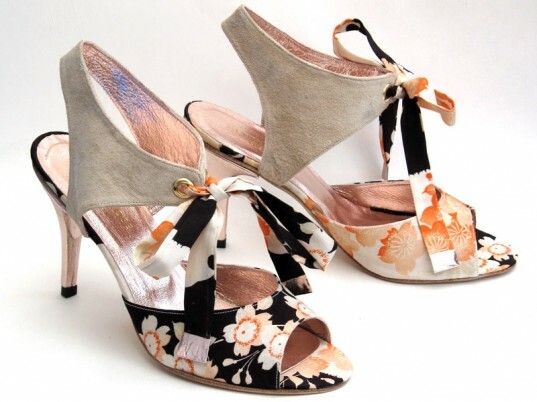 I experimented at school and art college, then did the degree at London College of Fashion in footwear so I could learn not only how to make shoes but how to market them, too. On my first day of nursery school my Mum asked about my teacher, apparently all I talked about were her red shoes. I think it started pretty early on! Why did you start Hetty Rose? Why make it a sustainable brand? I have always been conscious of sustainability and sensitivity in design. For me, making products that are both functional and beautiful includes them being sustainable, too. So it made sense to start a business based on this ethos. I wanted to create a brand that was both ethical and beautiful, by creating shoes people would treasure. I wanted to create a brand that was both ethical and beautiful, by creating shoes people would treasure. There is story behind each pair: where I picked up the fabric, the significance of the colors and flowers, the client can choose lots of details such as the lining color, the heel style, all coming together to form a pair of shoes they will love and enjoy wearing as they have an emotional attachment; its not simply something just bought off a shelf to be forgotten a short time later. The conceptual collection of shoes and accessories are completely handmade using mainly reclaimed, recycled, and vintage materials. These are primarily vintage Japanese kimono fabrics, each holding different meanings shown by their use of color and design. 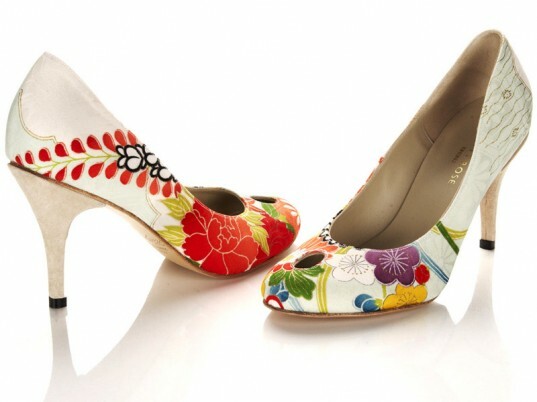 The designs are simple yet distinctive, with color being the overriding attraction to the shoes. This collaboration of color, materials, service and directional design result in unique, wearable footwear. Hetty Rose shoes appeal to the individual who craves authentic and individual products to enrich their life. How is your new ready-to-wear collection distinctively different from the rest of your creations? The ready-to-wear range takes the essence of our bespoke, handmade shoes in our signature vintage kimono fabric style and makes them more accessible, so clients can buy without the six-to eight-week wait for bespoke shoes. 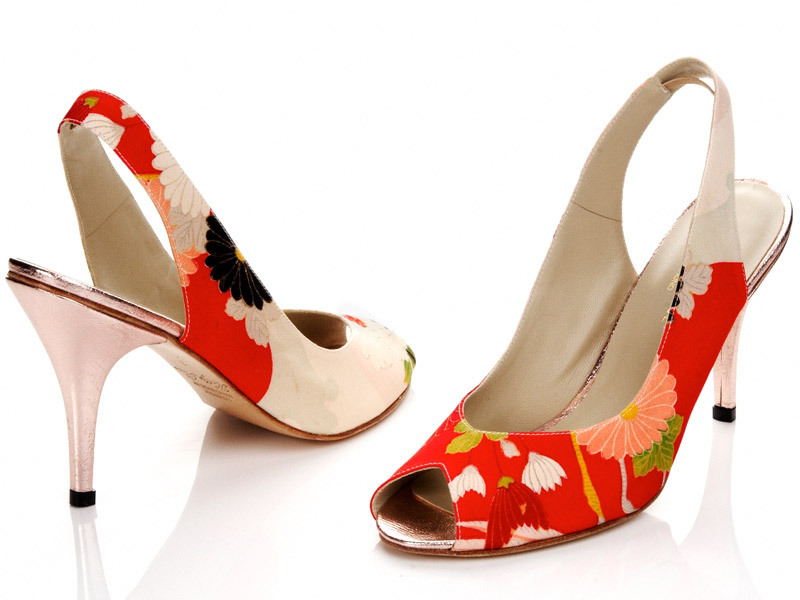 Clients can own a precious piece of designer footwear at a more affordable price point. Clients can own a precious piece of designer footwear at a more affordable price point. The new collection has stemmed from three years in business making bespoke shoes for individual clients. With increased sales and press attention, it’s now the perfect time to extend the brand to a wider audience. This will allow clients to enjoy some of the key styles at a lower cost of a bespoke pair of shoes. The key pieces can be collectives, as clients can buy the styles that suit them and create a personal collection of unique high-end designer shoes. Is the ready-to-wear collection as sustainable as the rest of the line? What are some of the sustainable features? 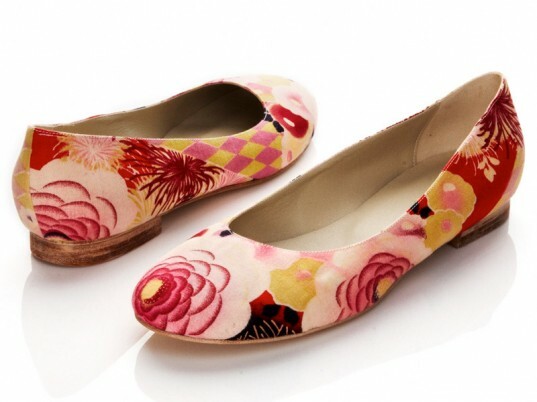 All the uppers are made from vintage Japanese kimono fabrics. These fabrics are originally part of full kimonos; these are taken apart along the seams by very skilled workers in Japan (only a handful left now), so the fabric is in panels, the perfect width for a shoe pattern. All the components (insoles, soles, heels) are all made in Britain. By sourcing and producing in Britain I feel I am supporting U.K. trade in a small way. I use a handful of skilled craftspeople and try to support as locally as possible. I have heel-carvers in the southeast, sole-makers in Northampton (the original home of shoemaking), and others dotted around the south of England. It can be challenging to adhere to an ecological ethos at times—financially it can be difficult to source as locally as I’d like. Many shoe designers simply manufacture abroad to save costs, which is understandable, although by sourcing and producing in Britain I feel I am supporting U.K. trade in a small way. What’s next for Hetty Rose? In the future, the collections will include more accessories, such as bags, interiors, baby shoes, and men’s ties. I would like to go into housewares also, creating one-off special pieces for the home and interiors such as boutique hotels and unique office spaces. I would like to create more shoe collections, possibility extending into men’s footwear, too. I get a lot of requests so it could be an interesting challenge! Three years in the making, the ready-to-wear, albeit still handmade collection features some of Hetty Rose's bestselling styles, including the Mika, Yuki, Kiki, Haruka, and Mami (pictured above). "The ready-to-wear range takes the essence of our bespoke, handmade shoes and makes them more accessible," says Samuels, who graduated from the London College of Fashion in 2005. "So clients can buy without the six- to eight-week wait." Starting at £180 a pair, the shoes will also be more affordable than their custom counterparts—another plus. The shoes offer a brilliant mashup of traditional textiles and contemporary design—simple yet provocative, according to Samuels. And because the fabrics are reclaimed, no one is exactly alike. "Hetty Rose shoes appeal to the individual who craves authentic and individual products to enrich their life," she tells Ecouterre. Although she graduated from university five years ago, Samuels is no slouch when it comes to technical experience. In addition to an internship with renowned footwear designer Georgina Goodman, she has also worked for several bespoke shoe companies in London and Italy. This lineup of shoes is only the beginning. Future collection will include bags, housewares, baby shoes, and men's ties.